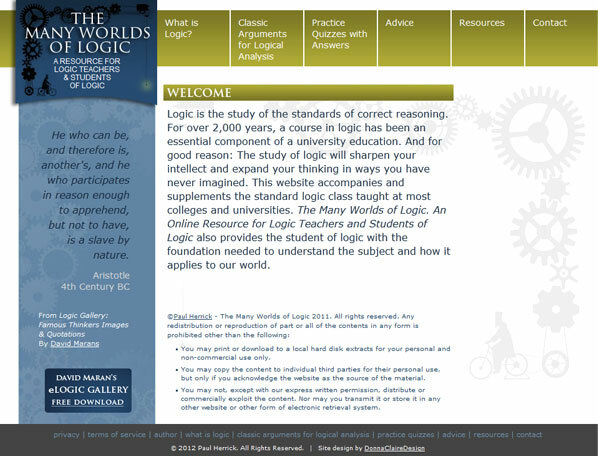 The Many Worlds of Logic serves as a companion website for a professor's college level Logic class and is a resourse for both Logic teachers and students of Logic. The content had to be be effectively organized for quick and easy retrieval. It had to be simple, but not boring. Quotes about logic by famous philosophers keep things interesting.